The Church has implemented a new way to help members and missionaries work together more effectively to help people come unto Christ. 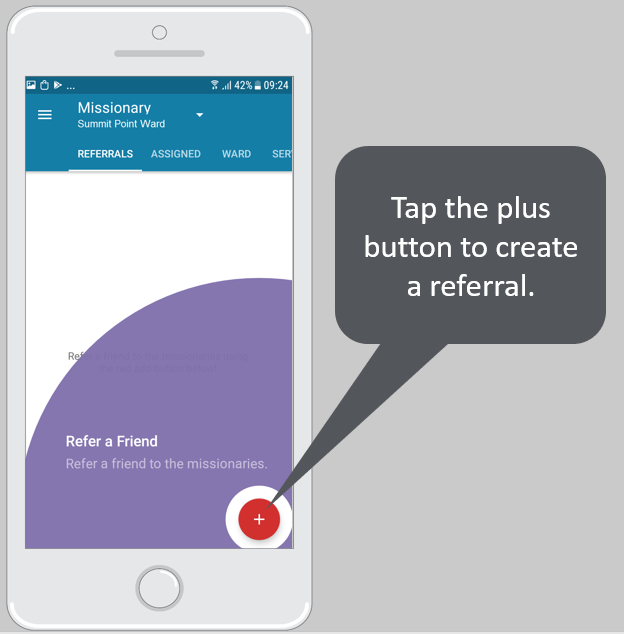 A new feature on LDS Tools and LDS.org lets you send referrals directly to missionaries and collaborate with them as they contact and teach your friend. Be part of the process by helping the missionaries understand your friend’s needs, interests, questions, and preferred method of communication. After submitting your friend’s contact information, you will see contact information for the missionaries, bishop, and ward mission leader where your friend lives. Participate in missionary lessons or gospel discussions in person or through phone or video chat. You can be as involved in teaching your friend as you want to be. Follow up with your friend between missionary appointments to answer questions and provide support. 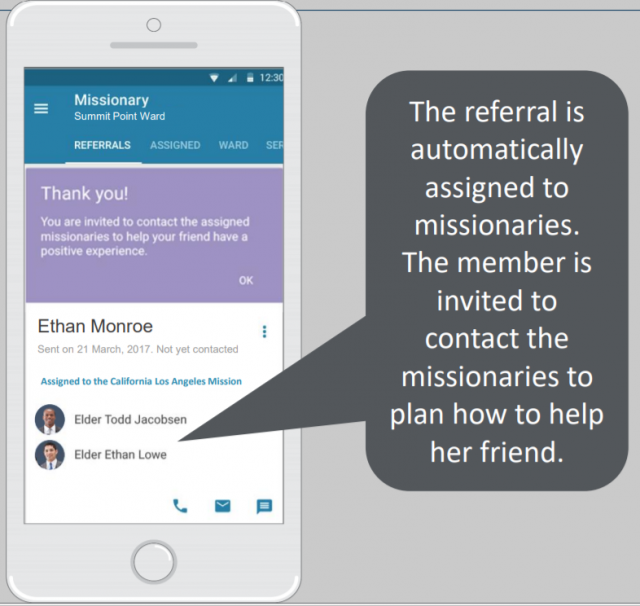 Flip through a presentation that explains the new missionary referral process in more detail. To submit a referral to the missionaries, go to lds.org/referrals, which is available in 28 languages. Great idea. I will inform my Ward Council of this new proceed and use it as I travel and meet new friends. This is a wonderful tool! I am excited to share this in our stake to utilize/leverage technology in furthering the work of the Lord!! Wow! That is REALLY neat. I wish we’d had this tool when I was a missionary. I love that the referrer is still involved and not just “turning the friend over to” the missionaries. This is wonderful! Would it be possible to add an option to send a Book of Mormon to a friend? That would be helpful in instances where a friend has not yet committed to listen to the missionaries but has agreed to read the Book of Mormon. Sierra, if you want to talk with the missionaries, you can submit your contact information at http://lds.org/referrals. If you want to talk with a member of the Church who lives close to you, go to http://maps.lds.org and type in your address to find the location of the nearest LDS church where you can find and talk with other members of the Church.